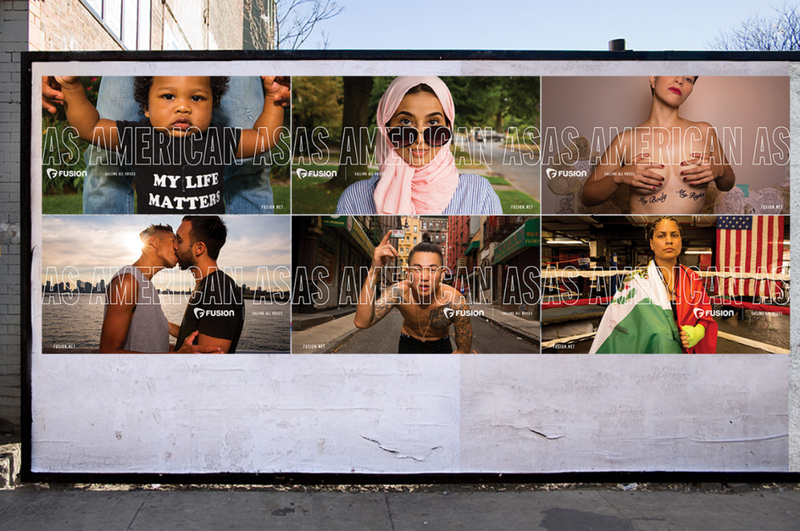 FUSION’s ‘As American As’ campaign was recognized with a D&AD Award (Design & Art Direction) last week. The campaign, created in conjunction with SS+K, was recognized with the coveted wood pencil in the Photography for Advertising category. Widely considered one of the most prestigious and difficult-to-win awards in design and advertising, D&AD celebrates the finest creativity each year across a diverse range of disciplines. One of FUSION’s central values has been to champion diversity and inclusivity. Last year, in the midst of a divisive election season, we wanted to showcase the diversity that makes America great. Enter the ‘As American As’ campaign. For generations the phrase ‘as American as apple pie’ has come to describe and represent the best of American culture. But as the country has become more diverse, so has the portrait America. We wanted a new generation, the rising mainstream, to put their fingerprints on this quintessential expression of Americana because the truth is, we are no longer simply ‘as American as apple pie.’ We are as American as a cheerleader in a hijab. As American as a Hispanic serving in the military. As American as an LGBT Prom. And as American as Koreatown, Little Havana and Little Haiti.